When I was in college, it was inevitable that in nearly every class that I was in, a football player would arrive late. They have this sort of swagger about them when they walk. Not sure words can really describe it, so I won't even attempt. But it's a memory that's seared into my mind. 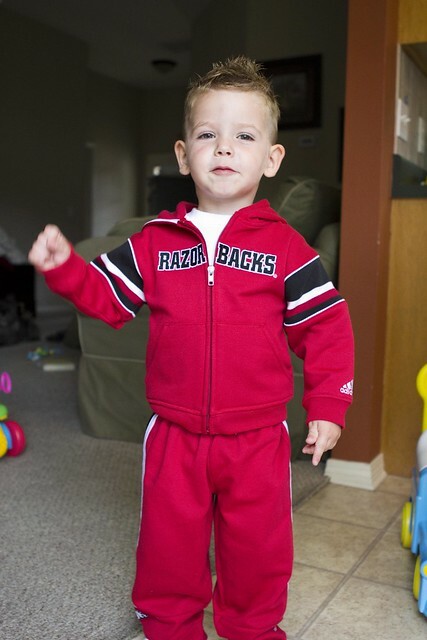 That swagger walk, with baggy Razorback sweatpants and a white undershirt. 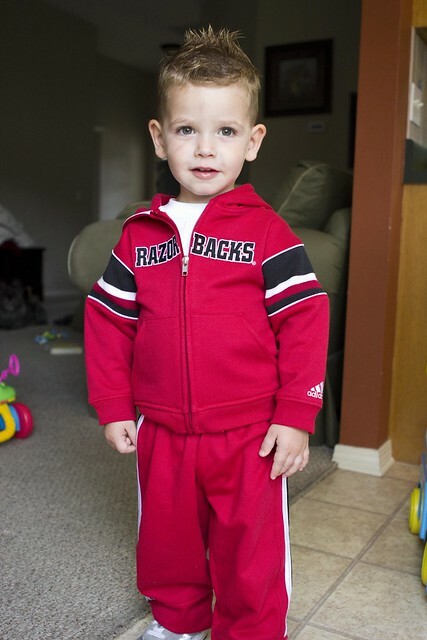 People who went to U of A HAVE to know what I'm talking about. Anyways, fast forward 11 years later. 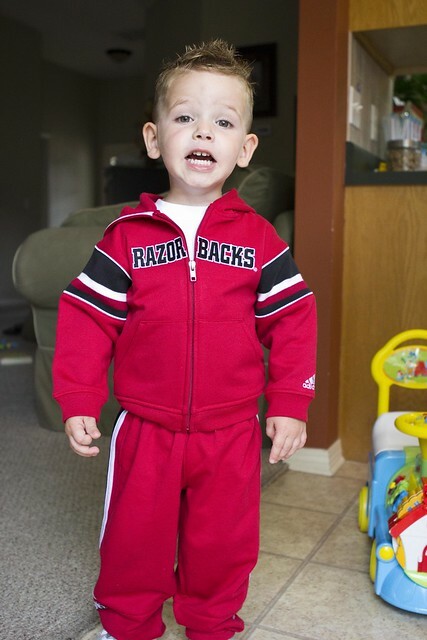 I bought a mini Razorback sweatsuit for our own little football player. And he finally fits in it*. *I am actually really bummed because when I bought it a year ago I didn't realize that the sweat shirt was mismatched sized from the pants, meaning the sweatshirt is almost too small and the pants are a little TOO baggy. Oh well. Thankfully I got it on clearance. 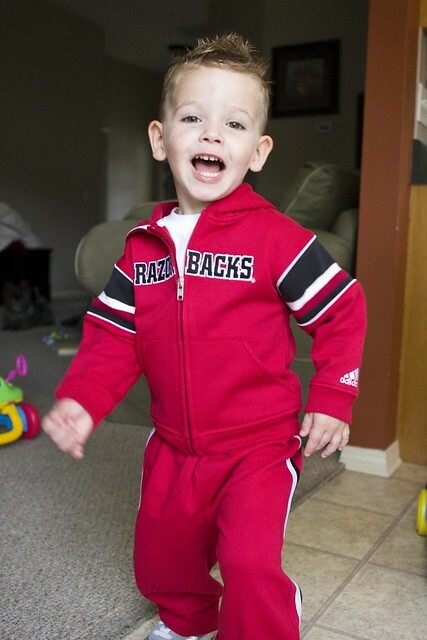 this picture pretty much sums up his personality. haha!